The creative process can be an awesomely amazing thing, and yet the most evil soul-sucking thing at the same time. 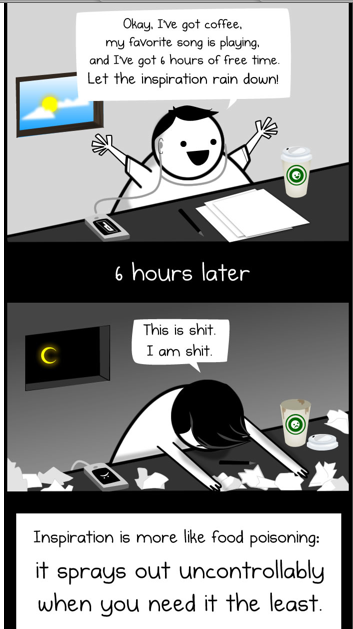 And I can't think of anyone that's captured that exact sentiment better than Matt Inmam, from the Oatmeal, in this comic. If you're in the business of being creative, it's a must read.